Here in comes the task of educating the recreational boaters about boating safety. It is important to stay safe on water. You might have been fishing for what seems like forever, and so far you have managed to stay safe while on fishing trips! So why do you suddenly need to be aware of the safety precautions? Wearing a life jacket or a personal flotation device when fishing from a boat is absolutely necessary. Even if you are an excellent swimmer, you need to put on a life jacket. 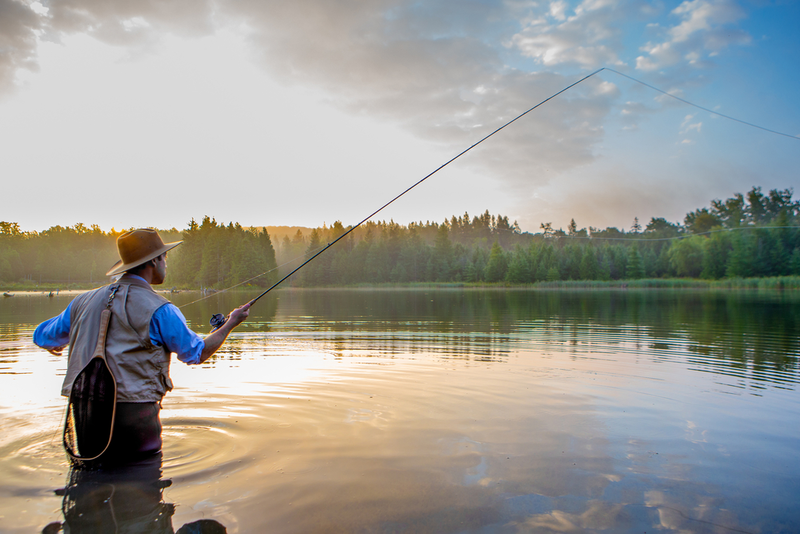 If you are fishing in water with strong currents, a life jacket is a must. Be careful before going wading in the water. Take a partner along with you when you are going fishing. Along with a companion, you have each other in case something goes wrong. Wearing a sun block, carrying a bug spray is important. You don’t want to get all sun burnt while you are sitting for hours waiting for a fish to hook. You need to be comfortable. The hooks at the end of the line are very sharp, be careful to handle them with caution. Make sure there is no one behind you when you are casting. 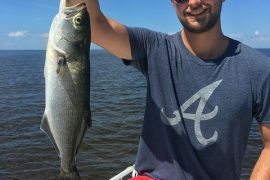 Avoid holding the fish you have caught near where it is hooked; you could get hurt if the fish wriggles the wrong way. Hats and sunglasses will not only help you see in the water, spot fish and protect you from the sun, but keep you safe from other angler’s hooks. Keep a first aid in the boat. Bandages, antiseptic crèmes or lotion, pain reliever, anti-inflammatory medication. You don’t drink and drive, then why drink and drive your boat? Alcohol strengthens the effects of sun, wind fatigue, and affects balance, reaction time and judgments. Always keep a check on the weather before going out boating or fishing. Check for radio and TV forecasts for the latest info. If there is a sudden change in the weather, it is better to stay off water. Do not overload your boat. This not only includes the number of passengers, but also the weight of the fishing gear. It is a good idea to take some boating safety course. This will not only help you if your boat capsizes but in case you need to rescue someone else. Being prepared, aware and educated for every circumstance that might arise. Obey all the boating rules. There would be other boaters and swimmers around; be watchful of them. Yes, most of us aware of these fishing and boating safety tips but how many of us honestly follow these? We have assumed that since we are fishing for so long, and never have we been in any unpleasant situations, nothing will happen in the future as well. But no fish is worth your life.